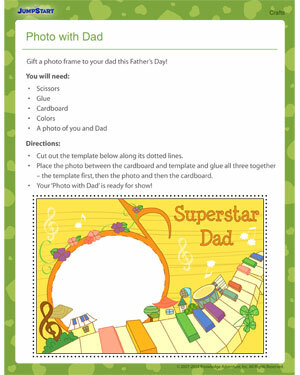 ‘Photo with Dad’ is a special Father’s Day gift that promises to move your dad quite a lot! Take him by surprise when you gift him this special craft that is filled with affection, love, and thoughtfulness. See our entire collection of crafts and activities for kids if you happen to like this one!